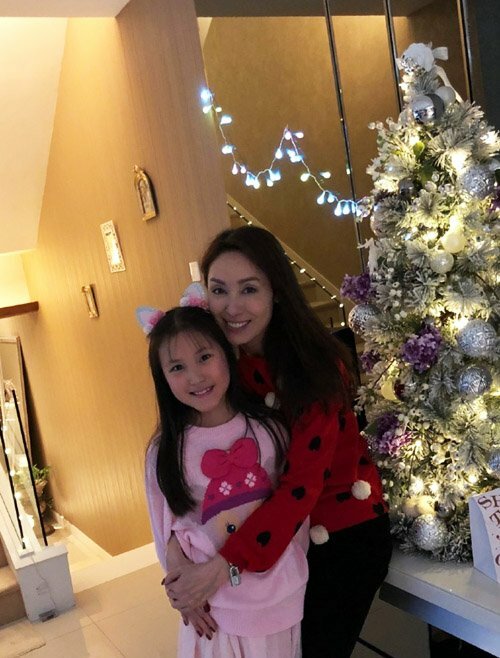 Many Hong Kong celebrities took time off from work to spend with family and friends on Christmas, sharing their precious moments with fans on social media. 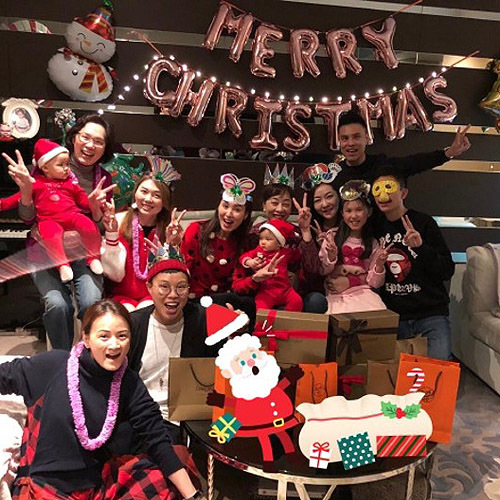 As 2018 is coming to a close, several celebrities took vacations to de-stress after a long year, while others went back to their hometowns to visit parents. “The Nonsense Club” members celebrate birthdays, holidays, and major milestones together and are like family to each other. 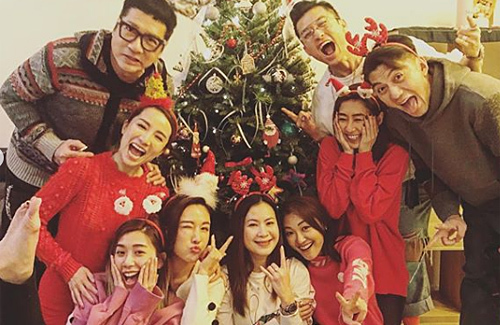 Nancy Wu, Mandy Wong, Paisley Wu, Selena Li, Joel Chan, Benjamin Yuen, and Bowie Cheung had a festive Christmas party together. 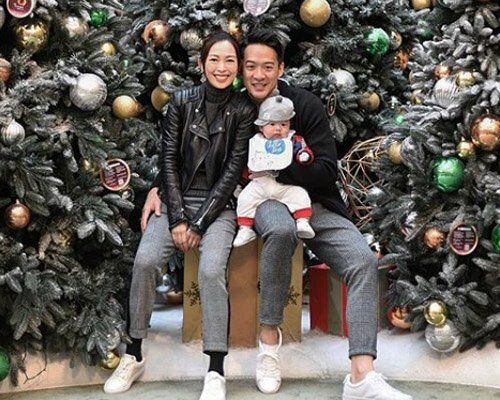 Myolie Wu apparently had to work and left husband Philip Lee with their one-year-old son, Brendan, at home for a bit on Christmas Day. 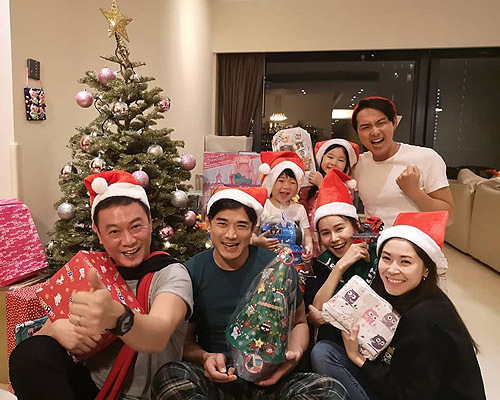 Meanwhile, newlyweds Edwin Siu and Priscilla Wong visited Stefan Wong and his wife’s house to do a Secret Santa exchange. Although Stefan’s kids were the only kids at the party, that meant more presents for them! 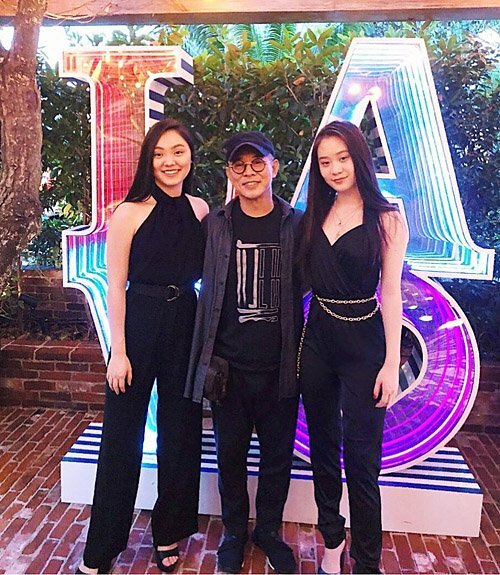 Kenix Kwok and sister-in-law, Lynn Hung, get along especially well. 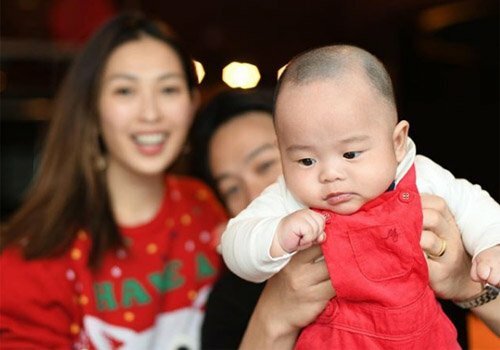 Kenix is especially excited whenever she sees her cute twin nieces, who had their first Christmas this year. 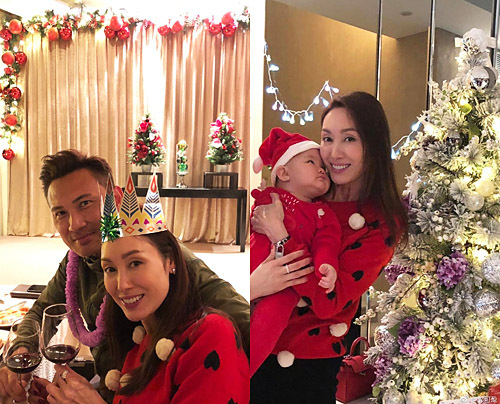 Kenix’s husband Frankie Lam and daughter Tania were also at the house party. Santa in shorts? 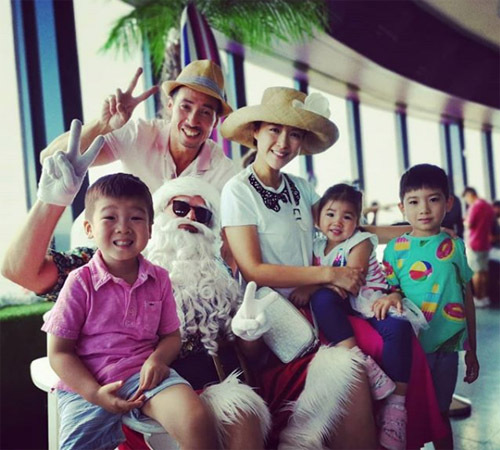 Moses and Aimee Chan are on vacation in Sydney, Australia for a week to enjoy 80-degree weather and the beaches for the holidays. 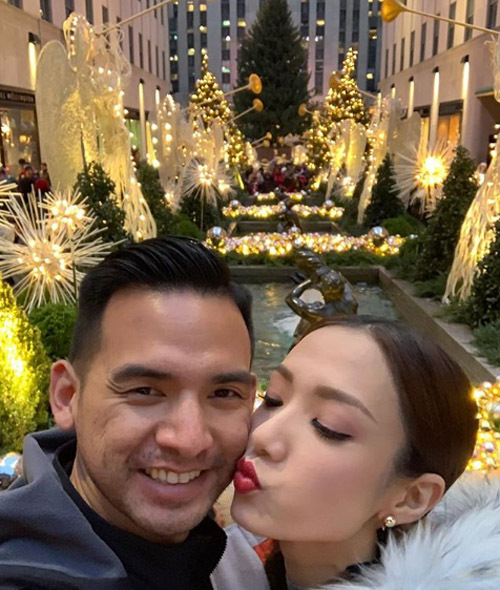 Native New Yorkers, Grace Wong and her husband Daniel, were at Rockefeller Center to soak in the lively Christmas atmosphere only New York City offers. 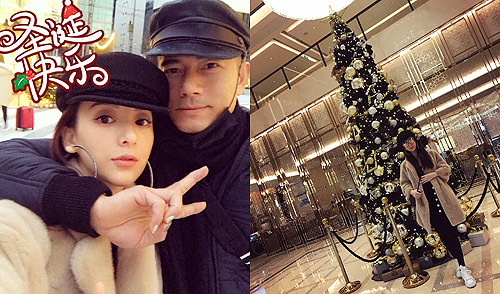 Expecting their second baby, Aaron Kwok and Moka Fang made sure to make time for each other in a year-end getaway. 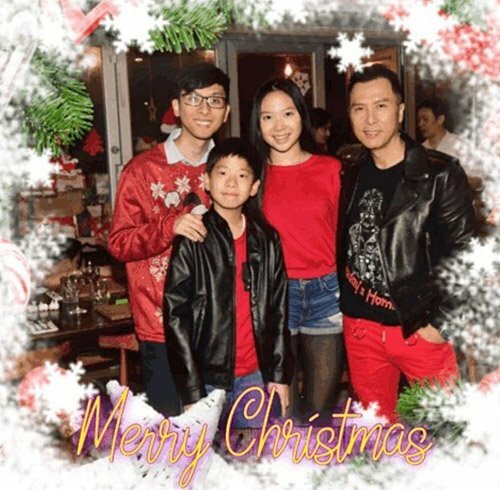 Donnie Yen included his oldest son, Jeff, from his first marriage in Christmas celebrations with his children, Jesmine and James. 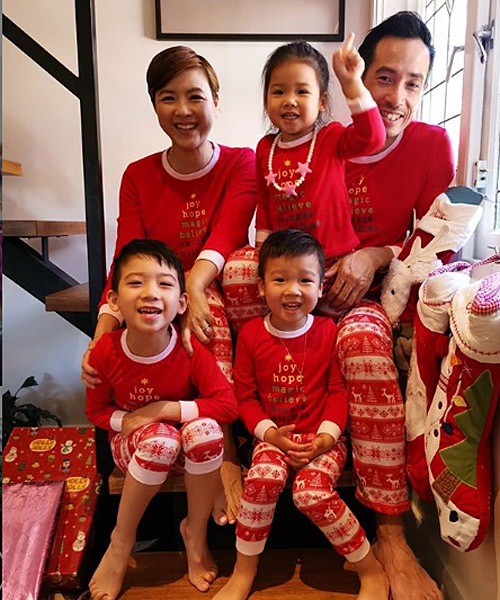 Suffering from hyperthyroidism since 2010, Jet Li was forced to slow down his career, but this gave him more time with family. 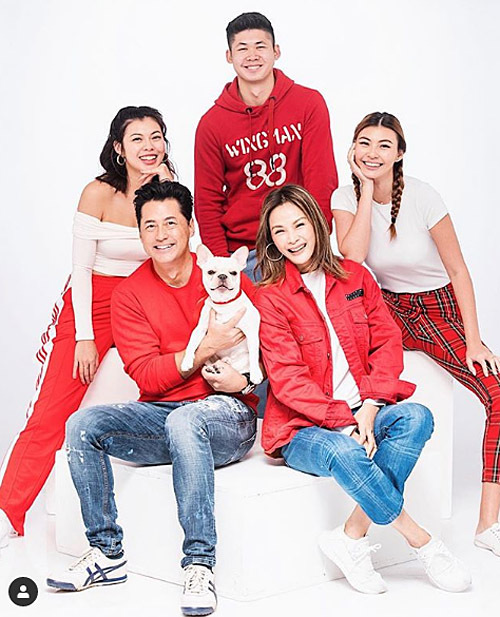 Jet gave a holiday shout-out along with his two daughters, 18-year-old Jane and 16-year-old Jada, from his second marriage with Nina Li. 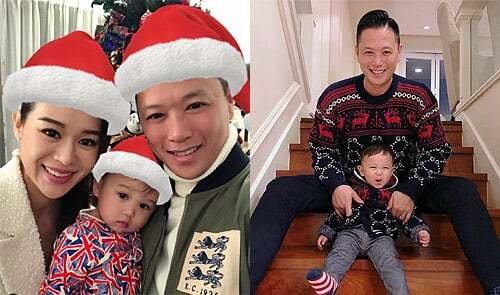 Michael Wong and Janet Ma have three beautiful grown children, and the family always has a lot of fun together. Most of these celebrities are what I called role models for the younger generation. Especially Moses and his wife Aimee. Many great family photos. Beautiful families.